This year during our Lenten midweek series we will be “Walking in Y’shua’s Footprints.” This sermon series follows Jesus as he observes the Jewish festivals mandated by God and observed by Jews in his day; Rosh HaShannah (Trumpets), Yom Kippur (Atonement), Sukkot (Tabernacles), Chanukkah (Dedication), Purim (Lots), and Pesach (Passover). In the midst of all of the Hustle and Bustle of the season, take some time to be spiritually refreshed through God’s Holy Word and His Blessed Sacrament. Having been blessed in this way, you can be a blessing to others too! 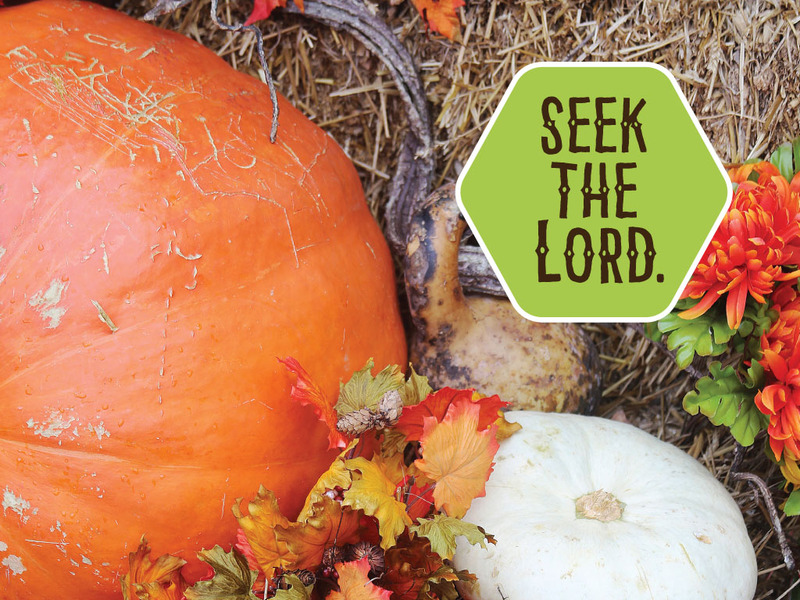 Join us for our Thanksgiving Matins Service on Thursday, November 22nd at 9am. Rejoice and be thankful for all that God has provided. We served over 300 people in our community free ice cream cones at Music in Park this year! Thank you to all of our volunteers who made this possible. Great music, wonderful fellowship, and cool ice cream made for a fantastic evening. We can’t wait for next year! 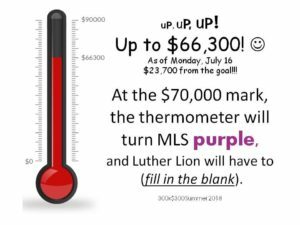 Click here to donate to Martin Luther School’s 300 x $300 campaign. 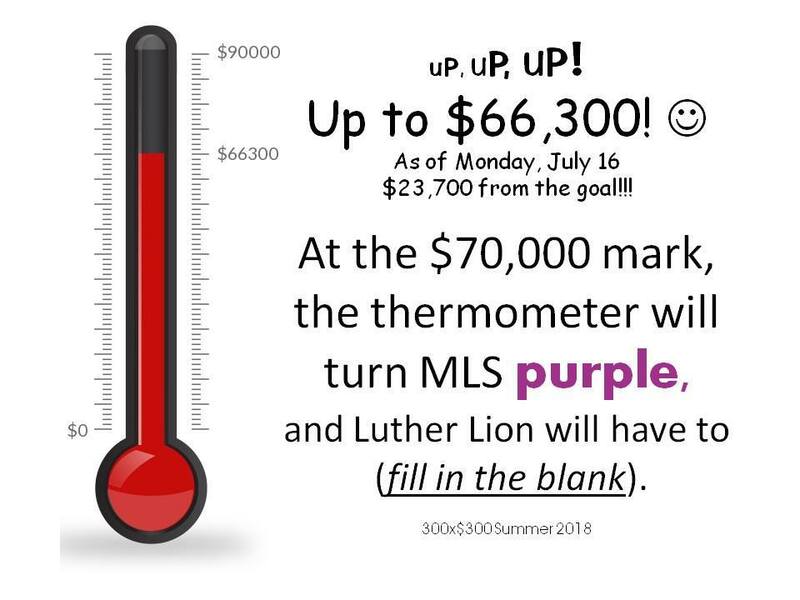 We are getting closer to our goal. Thank you for all of your generous support!! Please mark your calendars and plan to attend an Ascension Day Service at Holy Cross on Thursday, May 10, 7:00 p.m. The pastors and congregations of the five LCMS congregations in Bismarck-Mandan will be participating in a joint worship service as we remember our Lord’s ascension and its meaning for our life today. Pastor Zellers from Messiah will serve as preacher. The service will be followed by an ice cream social. Holy Cross is located at 7111 Williamson Drive, north of Bismarck on Hwy 1804, between US-83 and N. Washington. In the midst of all of the Hustle and Bustle of the season, take some time to be spiritually refreshed through God’s Holy Word and His Blessed Sacrament. Having been blessed in this way you can be a blessing to others too! New Year’s Eve Service at 4:30 pm.